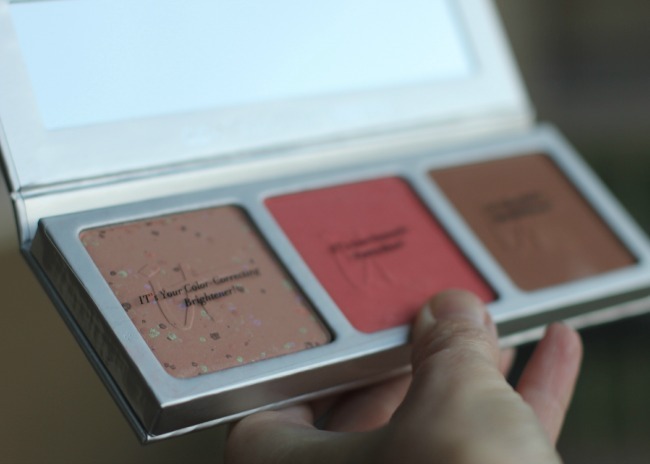 the new CC+ Radiance Palette from IT Cosmetics is your one stop color correcting, brightening, bronzing and blushing. 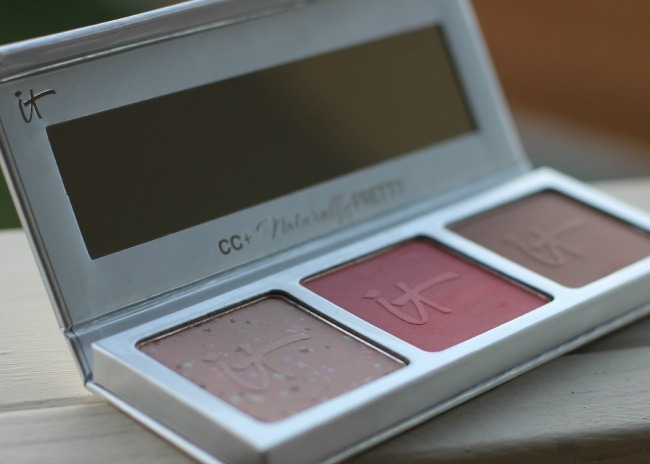 it is an anti-aging color palette that brings you perfect glowing skin. the color correcting pigments will help to enhance and even out your skin tone. the bronzer gives the perfect touch of sun-kissed bronze and the blush shade works great for a variety of skin tones. great application starts with great tools and the IT Cosmetics brushes are amazing. seriously though, amazing. i may throw that word around a lot but when it comes to these brushes they are ultra-luxe, so soft, plush and apply makeup with the most incredible airbrush finish. the Heavenly Luxe Wand Ball brush is great for all over face powder or applying bronzer. 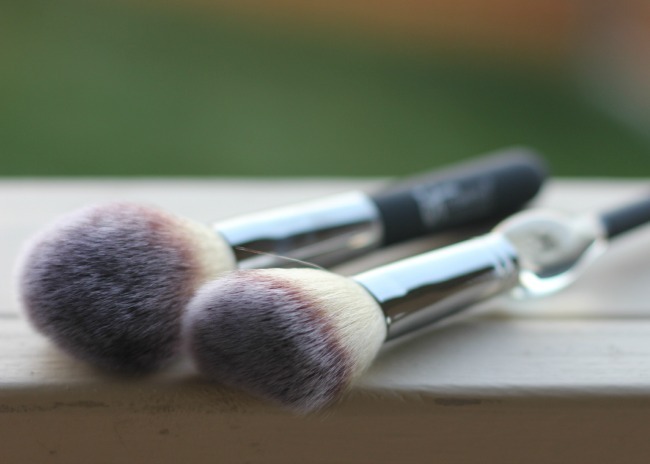 the brush forms a perfect round ball shape which distributes powder in the most even manner. the French Boutique Blush Brush is designed for perfect blush application and a comfortable handle to grip. this brush is so soft it is like a cloud.